The Stone Soup Project developed an extensive set of materials for faculty to help their students get a better understanding of the real world of practice. 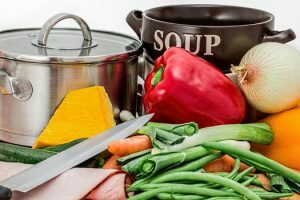 This post collects links to these materials in one place so that faculty can easily include a Stone Soup assignment in a wide range of courses. Although these materials are oriented to US law school courses, we encourage faculty in other disciplines and countries to use and adapt these materials. Last year, the project engaged about 1000 students in 40 classes covering 12 subjects, taught by 32 faculty from 25 schools in 3 countries. This is an understatement because some colleagues have essentially used Stone Soup assignments for years, well before the Stone Soup Project started, and they aren’t included in these figures. This post collects faculty assessments of their Stone Soup experiences in the following ADR classes: 5 ADR survey, 1 arbitration, 1 DR clinic, 5 mediation, and 9 negotiation classes. It also includes assessments of Stone Soup assignments in access to justice, evidence, externship, and trusts and estates classes. The assessments include the assignments that faculty used and describe what worked well and what they might do differently in the future. Here’s a table identifying characteristics of Stone Soup courses and providing links to faculty assessments of the courses. For each course, the table shows the class size; whether the assignment was required, an option, or extra credit; paper length (if any); due date; percentage of the grade allocated to the assignment (if any); and whether the assignment was discussed in class. This post provides specific suggestions based on faculty assessments. Here’s some key advice based on faculty’s experiences. This post provides a complete set of documents to help you plan a Stone Soup assignment. It includes: (1) guidance in developing these assignments, (2) a general model for an interview assignment, (3) guidance for students in conducting and summarizing interviews, (4) a model invitation for an interview, (5) a summary of professional ethics rules about confidentiality (indicating that professionals can discuss case information if they don’t include information that could reasonably identify the parties), (6) model paper format, (7) two sample grading rubrics, and (8) a consent form for students who want to share their papers publicly. This post describes how faculty could use Stone Soup assignments in first-year law school courses and includes model assignments tailored to contracts, property, torts, civil procedure, and criminal law courses. In contracts, property, and torts classes, students may be able to interview friends or relatives about their experiences. In civ pro, students (perhaps in groups) can interview lawyers about strategy in handling pleading, discovery, motions, or other civ pro issues. In criminal law, students can observe court proceedings in criminal law matters, and it would be great if they could watch the process for courts to accept plea bargains. This post suggests that faculty require students to do interviews in these courses (or court observations in criminal law courses) but not require students to write papers or be graded on these assignments. It explains why – perhaps counterintuitively – students could get a lot of benefit from doing these assignments very early in a course, before they learn the legal rules. Brian Farkas used this model with great success. This post suggests ideas for faculty to use Stone Soup assignments in second- and third-year courses, with specific suggestions for administrative law, bankruptcy, business organizations, commercial transactions, consumer protection, employment discrimination, evidence, family law, insurance, interviewing and counseling, labor law, landlord-tenant law, pretrial litigation, professional responsibility, real estate, tax, and trusts and estates courses. Faculty could use Stone Soup in other upper level courses as well. As with first-year courses, you may want students to conduct interviews or observations early in the course and without requiring students to write papers. This post includes exemplary papers from negotiation (5), trusts and estates (3), and evidence (3) courses. These papers can give you ideas about what you might want students to do in papers for your courses and you could suggest that students might use certain papers as models for the kind of analysis you want them to do. This post provides a set of questions you might include in assignments to find out how people prepare for negotiation or mediation. This post describes Michaela Keet and Heather Heavin’s work on litigation risk assessment, summarizing their research about important elements of preparation. We all preach the importance of preparation, but what do people actually do in the real world? Do you know? As Charity Scott described, faculty can use students as your “scouts” to find out. If you would like to use a Stone Soup assignment in one or more of your courses next year, please email John Lande indicating which course(s) and semester(s) so that we can include you in an updated roster of Stone Soup faculty. If you have any questions or would like to discuss how you might use Stone Soup in your courses, feel free to get in touch with me or Rafael Gely, the co-director of the Stone Soup Project.